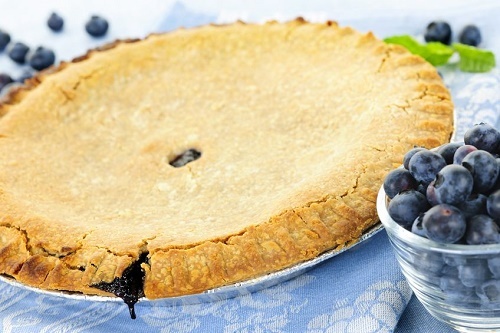 Blueberries are a popular pie filling. There are dozens of recipe variants on the same theme. You make the filling by mixing blueberries, sugar, flour and lemon zest together, and fill the pie shell with it before baking it.